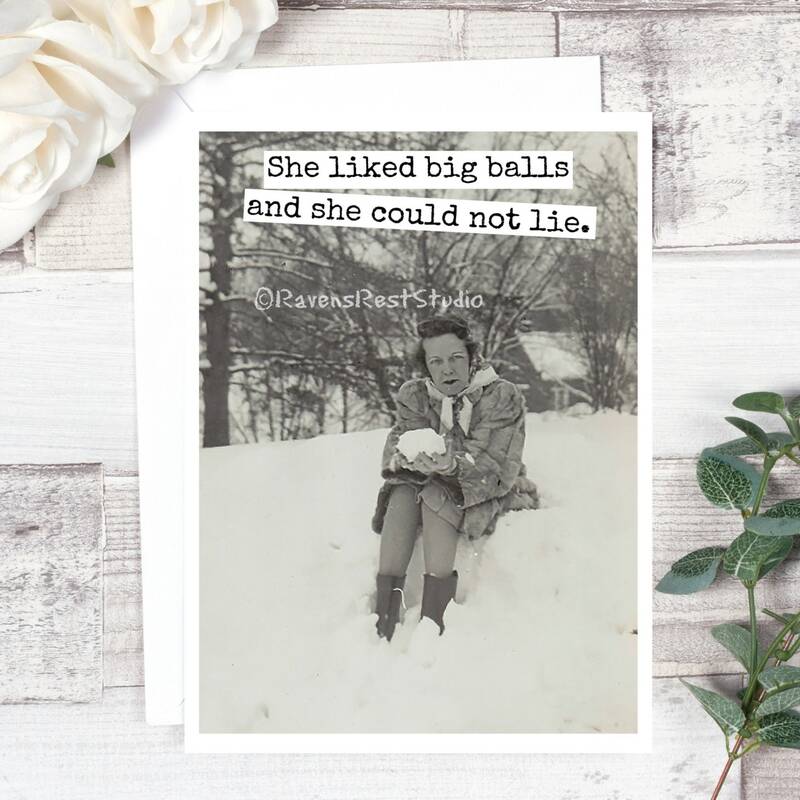 This card features a vintage woman holding a very large snowball and reads: "She liked big balls and she could not lie." 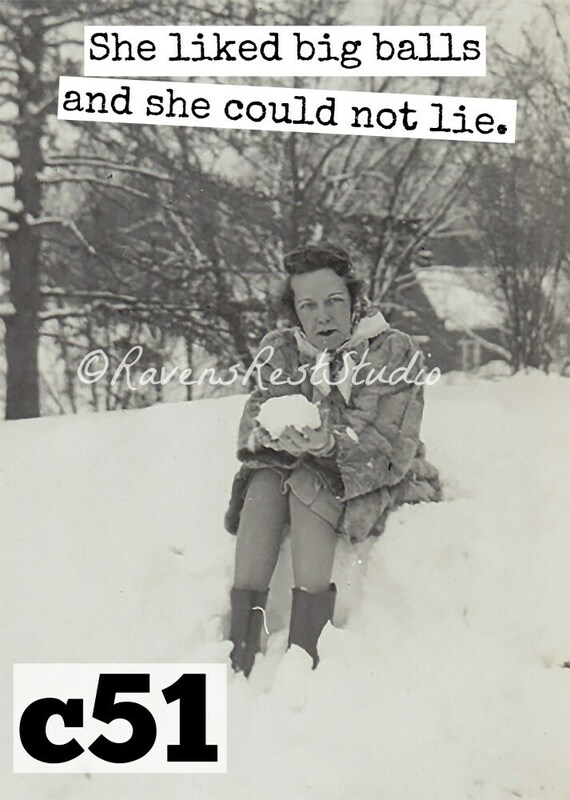 So hard to find such frank and funny cards anymore. These are fabulous! Shipped quick too.